I got a chance to go to the Masters this past weekend and although Bubba Watson won, I had my own leader-board focused on the best dressed attendees. My "Hole-in-one" award went to the lady in the turquoise shorts, orange tank, white layering top, straw fedora hat and bamboo tassel sandals! Okay, I'll admit, that was me wearing that outfit :-) but it was an awesome Master's ensemble. I did hear a few rounds of applause which I can only imagine were for my great fashion sense as I walked around the course. Feeling good about my style, I was inspired to start my own rating program of best & worst outfits for the day. Top picks were colored shorts, white pants, flirty skirts, fun hats, platform slip on sneakers, bright golf tees and edgy golf shoes. My double thumbs down went to bootie shorts, silk outfits with sweat spots, all black attire & excessive amounts of neon. How do you think Bubba Watson & his wife did on their fashion picks that day? Picture courtesy of Examiner.com. Since all the memories of this weekends fashion faux pas and finds are still running through my head, I decided to dedicate this blog to my fellow fashionista on what to wear to upcoming daytime events here in Atlanta. 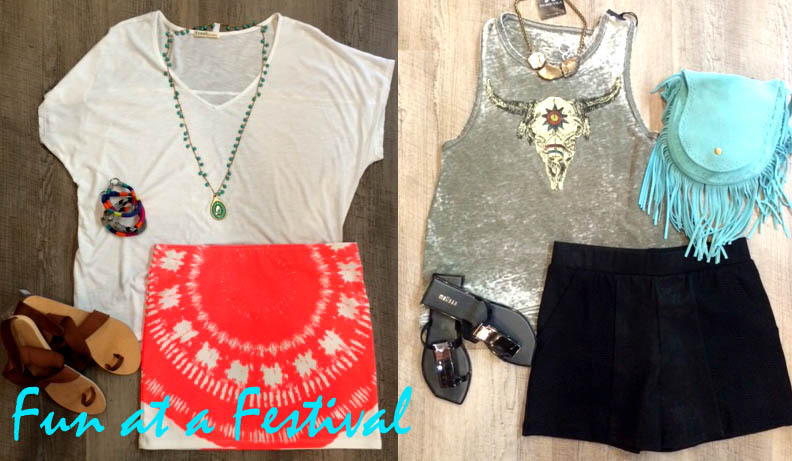 "Festival Wear": Coachella Blues???? We may not have the paparazzi's favorite festival here in the south but we can still hold our own! There are tons of daytime festivals: Highlands Festival, Inman Park Festival & Sweetwater Festival just to name a few. (Click here for a full list of Atlanta festivals.) Here is how my style rangers and I think you can do festival style just right and not be burning up by the end of the day! 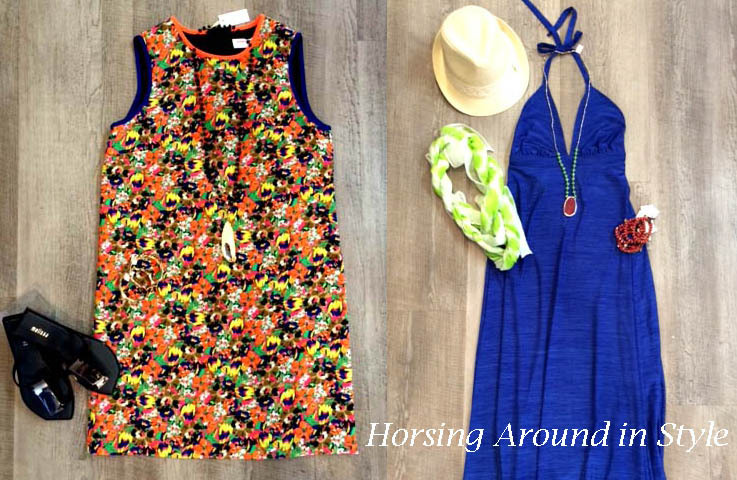 "Equestrian Fun": It is the season full of horsing around with events like Steeplechase and The Kentucky Derby right around the corner! Since your competing with the herds, it's best to wear bright-colored outfits that pop! We think these parings can hold their own, but adding a cute straw fedora (as shown) or a custom designed hat by celeb hat designer Polly Singer will make them even more on target. "Golf Tournaments": Golf tournaments aren't just for sports enthusiasts anymore. Whether it's the AT&T Classic,The Tour Championship at East Lake or an out-of-town swing fest, these outings are social and full of style. The pics below are styles that are appropriate and super cute for any golf fan! Make sure to throw on a Fitbit and wear comfy & flat shoes (as pictured)....you'll definitely be logging some miles in at each event.